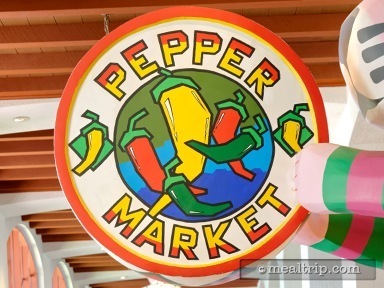 The Pepper Market at Coronado Springs is the resort’s food-court style eatery. 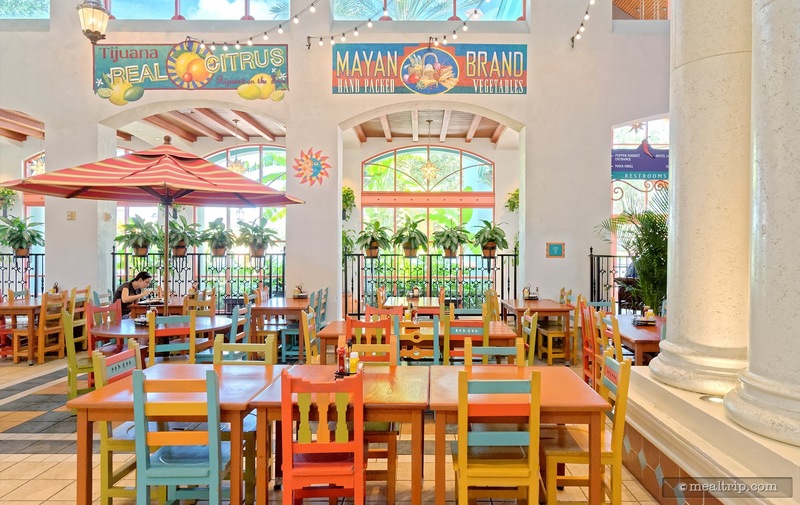 The main dining area is very unique and tall. While there is a bit of an outdoor-inside feel, you never really forget that you’re indoors. 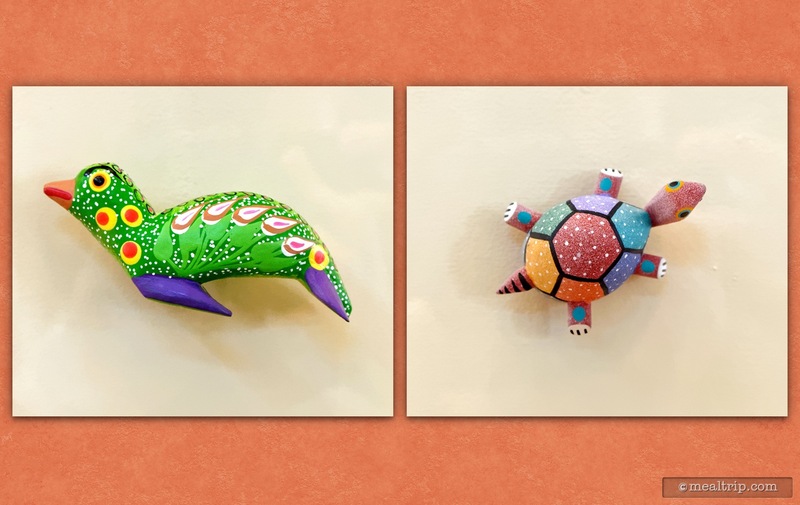 The seating style and colors lend a light South American feel, and there are some great displays of traditional hand-made Oaxacan Wood Carvings all around, including some large floor-to-ceiling Oaxacan style birds. For breakfast, you will find many of the standard breakfast items. From hot made to order plates like Scrambled Eggs and Mickey Waffles, to grab-and-go items like danishes and assorted cereals with milk. 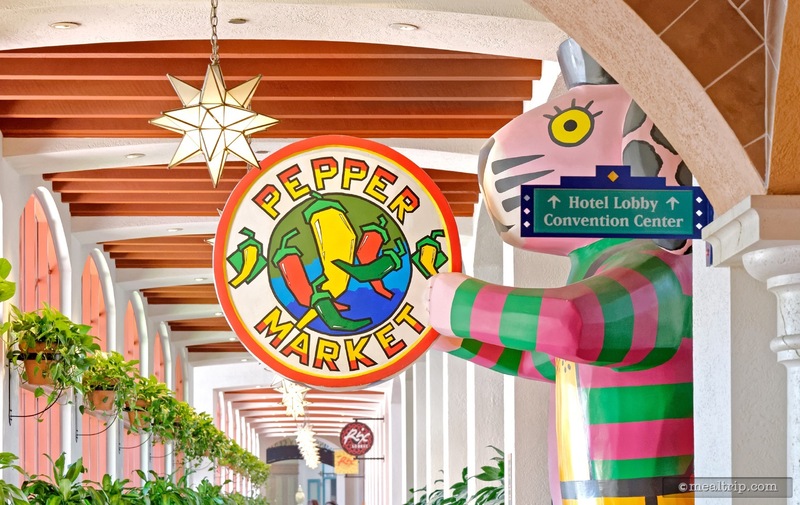 There are a good number of items that are unique to the Pepper Market as well, including Chorizo Hash and Poached Eggs, Mexican Eggs Benedict Burrito, and a unique Veggie Omelet featuring Tomatoes, Mushrooms, Onions, Peppers, Squash, and Zucchini topped with Cheddar Cheese and Pico de Gallo.